Aleksandra Dojčinović has made another interesting design cooperation - this time with IT company SmartWay. The most important part of the collaboration are the two "Luxury One by Alex" and "Luxury Two by Alex" table lamps. Aleksandra designed them for the Luxury SmartDesign line. 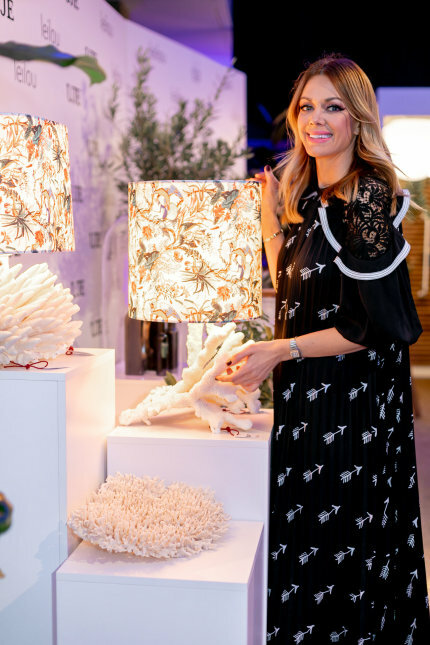 The lamps are unique - their base is made of natural corals, meaning that each one is different. The lampshades are made of Barrisol flower fabric for luxury lamps, the same one that was used to design the dress presented at Lei Lou SS 2019. The special dress was ultimately made feminine and wearable. It was sent to the “Musée de l'Impression sur étoffes” in Mulhouse, France, where it will be exhibited.